The second race in the 2012 IZOD INDYCAR Series, the Honda Indy Grand Prix of Alabama offers the latest competitive trial of the driver and team combinations for the new season. Drivers who finished well in the Honda Grand Prix of St Petersburg headed to Barber Motorsports Park eager to back up their performance while others having forgettable opening race outings for 2012 want redemption. Set for 90 laps around the 2.38-mile road course of Barber Motorsports Park on Sunday, the second race of the IZOD INDYCAR Series' 2012 season started with Team Penske's Helio Castroneves taking full advantage of his pole winning performance on Saturday. Leading the first 24 laps of the Honda Indy Grand Prix of Alabama, Castroneves was intrepid early in the event for continuing his winning ways after the 2012 season opener. 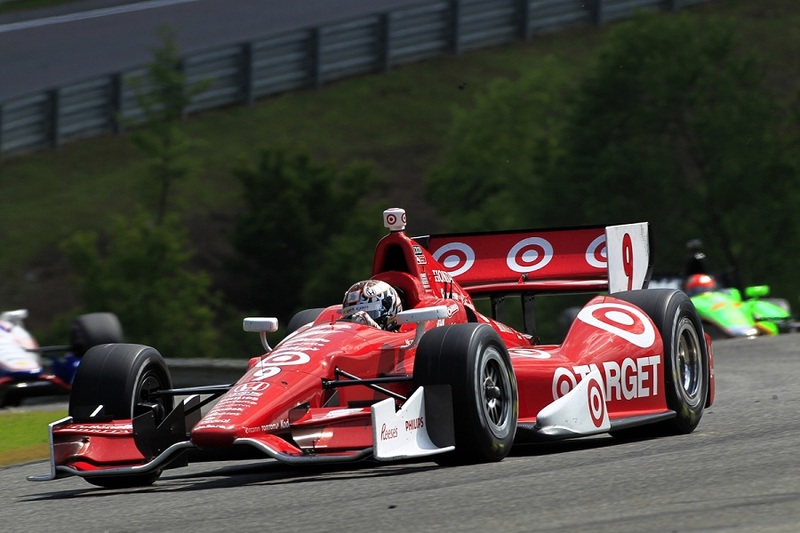 The 2010 winner of the inaugural IZOD INDYCAR event at the Barber Motorsports Park road course, Helio Castroneves lost the lead to Target Chip Ganassi Racing’s Scott Dixon. Putting pressure on the #3 car of Castroneves, Dixon’s #9 car snuck by the Team Penske after pit stops concluded for the IZOD INDYCAR Series competitors on lap 27. Maintaining a spot at the front of the Honda Indy Grand Prix of Alabama over the 90-lap distance, Castroneves’ car was just slightly off in handling allowing him to be caught. Helio Castroneves would cross the Barber Motorsports Park’s finish line in 3rd place. Photo Credit: Honda © 2012 American Honda Motor Co., Inc. Somewhat like the St Petersburg opener, the amount of caution periods during the race was brief at the Barber Motorsports Park race for the IZOD INDYCAR Series. The yellow flag first flew when the #98 Lotus-powered entry driven by Alex Tagliani stopped on track in turn 4 of the first lap. Driving the first car out of competition for the Honda Indy Grand Prix of Alabama, Tagliani would be a member of a much smaller list of three non-finishers due to mechanical problems. The Honda Indy Grand Prix of Alabama was also the scene where the Honda and Chevrolet were battling on more equal terms. As the Barber Motorsports Park race transpired for the IZOD INDYCAR Series, there would also be a reason for optimism for Lotus engined competitors. As the Honda Indy Grand Prix of Alabama progressed, some team desperate to demonstrate early race pace delivered on the 17-turn road course. Namely, the performance of two former Formula 1 contesters ultimately found the sweeping Barber Motorsports Park as more agreeable than the St Petersburg street circuit. Part of the two-car team competing within the newly-energized Lotus Dragon Racing team, Sebastien Bourdais climbed from 17th place in qualifying into the top-10. Bourdais’ effort would result in a 9th place finish to become the first driver to score a top-10 with a Lotus-engined Indy Car in 2012. “I honestly didn't believe we were going to hold off Justin (Wilson), (James) Jakes and (Dario) Franchitti and all these guys and race them this close because we know we're at a big power disadvantage.” said Bourdais who was very happy with the overall performance of the car as well as team. Repeating his 2011 victory at Barber Motorsports Park, Will Power records his first victory of the 2012 IZOD INDYCAR Series season. 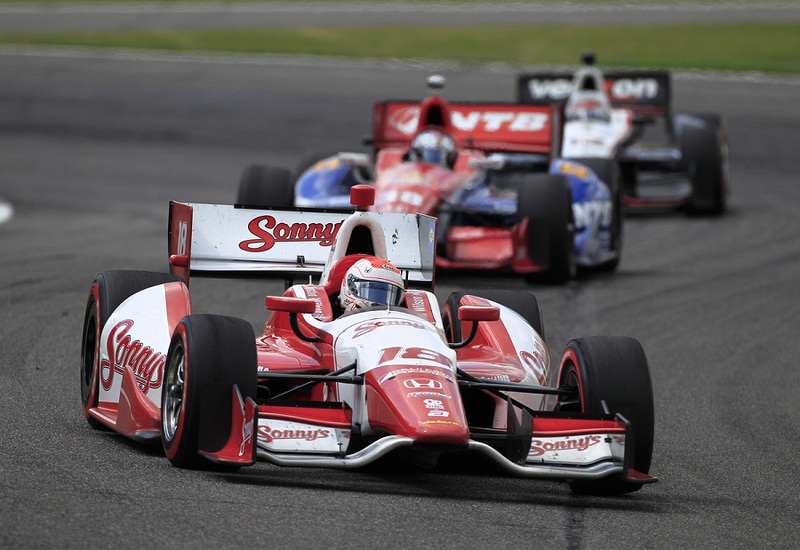 Most impressive is Power’s win keeps two streaks alive in IZOD INDYCAR for Team Penske. Firstly, Penske cars have won every event held at Barber Motorsports Park since the race was introduced to the IZOD INDYCAR Series schedule. Secondly, Team Penske starts the 2012 open wheel schedule with team members of their three-car program winning pole and the main event at both events. For the Brazilian Helio Castroneves who has finished 1st and 3rd so far this season, he possesses the IZOD INDYCAR Series’ overall points lead heading into the next event at Long Beach. 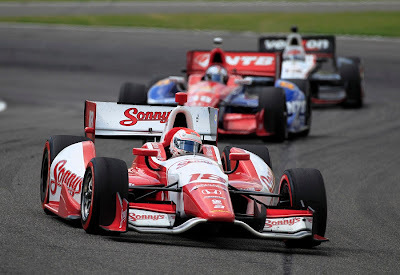 Will Power crossed the start/finish line 3.4 seconds ahead of second the #9 car driven by Scott Dixon. 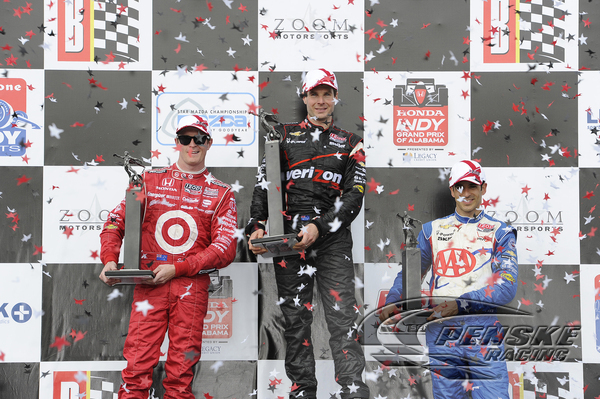 Starting off the season with two second-place runs, the New Zealand driver holds onto second place in the overall driver standings for the IZOD INDYCAR Series. Dixon has stepped out of the shadow of his respective teammate Dario Franchitti. For the past three championship-winning seasons, the Scottish driver has been struggling to find his typically consistent form early in the 2012 IZOD INDYCAR tour. Cracking into 10th place in his Honda-powered Dallara DW12 race car, Franchitti is tied in 10th place in the overall points. 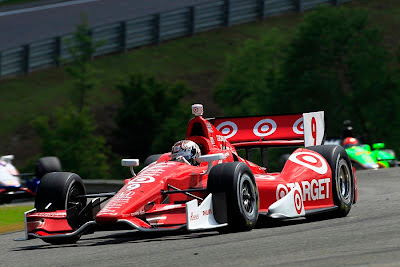 However, with only two races in, the ability for Dario Franchitti to recover in the #10 Target Chip Ganassi Racing car is highly possible. Finishing just outside of the podium at the Honda Indy Grand Prix of Alabama was the Chip Ganassi Racing-owned race car piloted by Graham Rahal. The result is Rahal’s latest top-5 since the Milwaukee Mile race in last season. Continuing to impress early as a rookie, Simon Pagenaud followed his 6th at St Petersburg up with a 5th on the Barber Motorsports Park track. Pagenaud’s #77 car finished just ahead the 2011 Rookie of the Year James Hinchcliffe who suffered a late-race set-back due to an impeded restart. On April 15th, the 2012 IZOD INDYCAR Series returns to action at what is one of the most revered street course events the United States called the Toyota Grand Prix of Long Beach.